The End of the Breaststroke Pullout? I really don’t think I’m overstating this. The breaststroke pullout may be going the way of the dodo bird. On Nov. 29, 2014, FINA issued a ruling (here), in which they change the allowable use of a single dolphin kick following starts and turns. After the start and after each turn, the swimmer may take one arm stroke completely back to the legs during which the swimmer may be submerged. A single butterfly kick is permitted during the first arm stroke followed by a breaststroke kick. After the start and after each turn, the swimmer may take one arm stroke completely back to the legs during which the swimmer may be submerged. At any time prior to the first Breaststroke kick after the start and after each turn a single butterfly kick is permitted. The implications of this ruling are considerable. This rule change is the result of the all-too-obvious impossibility of enforcing the rules. From the time of the 2004 Olympics when Kitajima flaunted the rules and did one / two dolphin kicks when none were allowed, to the present day with breaststrokers doing huge double or even triple dolphin kicks off the wall, the breaststroke underwater phase is a free-for-all. At the high levels it seems almost impossible to get disqualified. To illustrate how bad it is, this video (here) shows Katinka Hosszu doing a massive double dolphin kick during the recent 2014 FINA World Short Course Championships (thanks to G. John Mullen of SwimmingScience.Net for the video). No disqualification. The problem is that the old rule made the officials job impossible. Not only would officials have to see infractions up to 5 lanes away (in a 10-lane pool), they’d have to see it clearly through lane lines and turbulence and other swimmers. And they’d have to ensure that EACH of the 5 swimmers initiated their single dolphin kick after the hands started to separate and before the hands finished the pullout. That’s a difficult task with only one swimmer to watch. Completely impossible to verify for four or five swimmers. This new rule throws out the dolphin kick timing issue and now says that the single dolphin kick can happen before or during the underwater pullout. It makes the officials job now slightly less impossible. But only slightly. We can still fully expect swimmers to double and triple dolphin kick, and nothing short of allowing underwater video evidence will stop that. But if that was the only implication of this new rule, then we could consider it to be unimportant. But this new rule has an unintended consequence that is truly revolutionary. The dolphin kick can now be carried out INSTEAD of the underwater pullout. That’s right, you can now push off the wall, do a single dolphin kick (or 2 or 3 if you’re elite), and then pop up and swim. The first and most obvious question is whether it’s faster. With the new FINA rules only 3 weeks old, it’s far too early to quantify any time differences. Especially as the swimming world is known for fine tuning and optimizing every possible advantage. But early testing with my team looks very interesting. Here are comparison results to 15 metres with only 5 minutes of practicing the new no-pullout option. Swimmers were reasonably fresh, and were doing 25 metre repeats with lots of rest. Note: all swimmers did just a single dolphin kick. Clearly, with even just 5 minutes of practice playing with the dolphin kick amplitude and timing, and underwater distance, the swimmers started to match or even beat the old pullout system. It was also clear to me that as we practice this over the next few years, they’ll get better and better. Perhaps even more important for longer races, however, is the reduced time underwater, allowing the swimmer to breathe again sooner. The table above shows that a new breath can be taken up to 1.6 seconds sooner, even in this very limited testing. Although this may not be important for rested swimmers, or for short breaststroke races. This next table shows test results for 2 of my fatigued swimmers during the breaststroke phase of 200 IMs (long hard set with multiple 200 IMs at the end). Here we see a clear a time advantage for the no pullout option when swimmers are fatigued and in an aerobic mode. Not only is the no pullout option faster, but the amount of time without breathing is significantly reduced. For longer races, such as the 200 Breaststroke, or 200 / 400 IM, the earlier access to oxygen when in an aerobic mode should make a big difference. We put this to use at a meet last weekend. Swimmer A did the no-pullout option for his 200 IM in the finals. He ended up with his best breaststroke split ever, and his fastest last 100 ever. My personal opinion is that the extra access to oxygen made the difference in his case. The latest FINA rule change for breaststroke may end up changing the nature of the stroke. 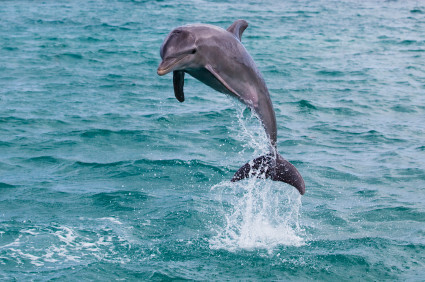 The new option of a dolphin kick without a pullout definitely has a place in competitions. And while it may initially just be suitable for the IMs and possibly 200 Breaststroke, it wouldn’t surprise me if swimmers find a way to eliminate the pullout for all breaststroke swims. We may be witnessing the end of breaststroke pullouts. Very interesting read Rick, however I don’t think this rule means the end for the pullout especially in breaststroke races because if done properly and powerfully the pullout is still the fastest a breaststoker will be in the water. I think this rule will cause faster and further underwater’s in breaststroke races. What my coaches and I have been working on since the rule was passed is doing a dolphin kick in the streamline position with a very short glide and than proceeding to do a regular pullout. I find I am able to get more length off of my turns while being only slightly slower than my regular pullout as my dolphin kick currently has a lot of room for improvement. I agree we could be seeing less pullouts in the IM events because the pullout is harder to do properly when fatigued and if it is done sloppy it can actually slow a swimmer down, hence a quick dolphin kick right into the first stroke is likely to be more efficient for a non breaststroke oriented IM’er. Basically if a swimmer can do an efficient pullout this rule change will make it quicker however if if a swimmer cannot do a proper pullout(non-Breaststroker or fatigued) this rule will provide them with an effective alternative. Let me Know what you think and Ill see if I can get some data on the different variations of underwater breaststroke. Thanks for the comment, Brent! That’s great that you’re already well into optimizing the kick then pullout. I’ve heard from quite a few coaches now, and for the most part they are saying that the dolphin kick by itself is faster. What I’m not sure about it whether they are sticking to just one kick, or throwing in a few more kicks simply because of the lack of disqualifications. From preliminary testing, two or three kicks is much, much faster than kick and a pullout. Our testing since I collected the data is starting to become clear, that for us, a large amplitude dolphin kick angling towards the surface, followed by a first stroke while still moving quickly is the fastest combination. This gets the swimmer up about 1.5 seconds before a normal pullout. The longer the time spent underwater with this system, the slower the overall result. However, we are still in the infancy of exploring the possibilities. I have no doubt that within a few months we’ll see some astonishing results with highly tuned underwater phases. I’d love to see whatever data you have on it, as the variations in performance and optimization are bound to be massive. It will be interesting to test this out with some of my breaststrokers. I’m wondering if off the block the pullout is still more advantageous. Also it will be interesting to see what Kevin Cordes starts doing especially with how effective his pullouts already are.